What's Cookin'? Decadance invites What's Cookin'? 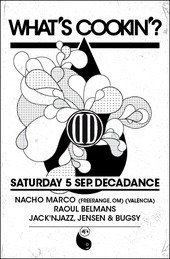 For starters we are having Nacho Marco at Decadance this Saturday with all the What’s Cookin’? 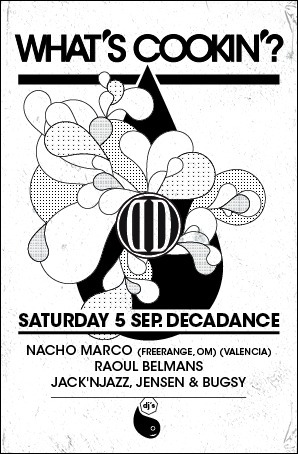 residents and Raoul Belmans! An appetizer to set the right mood for this year. After you’ve done your Laundry (Day), it’s NACHO TIME at Decadance! Check out his latest release ‘Move You’ (OM Records) with remixes from Soul Migrantz.